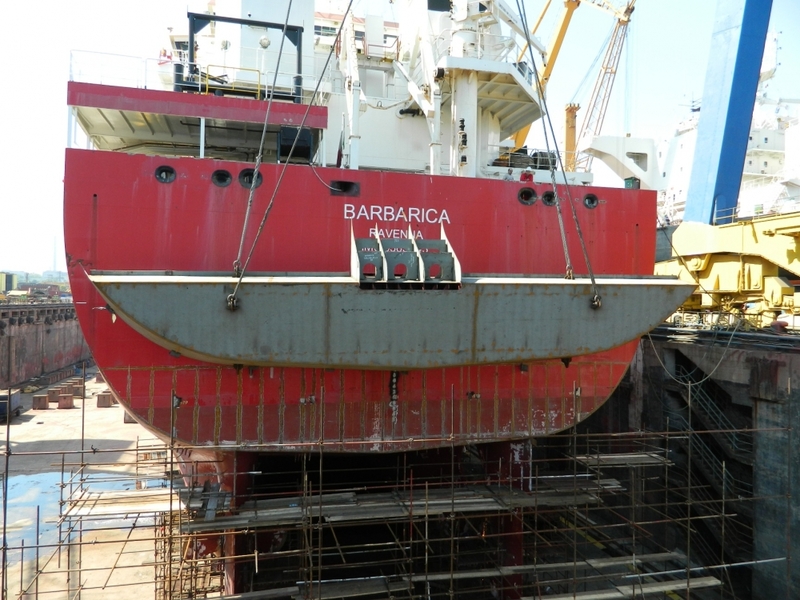 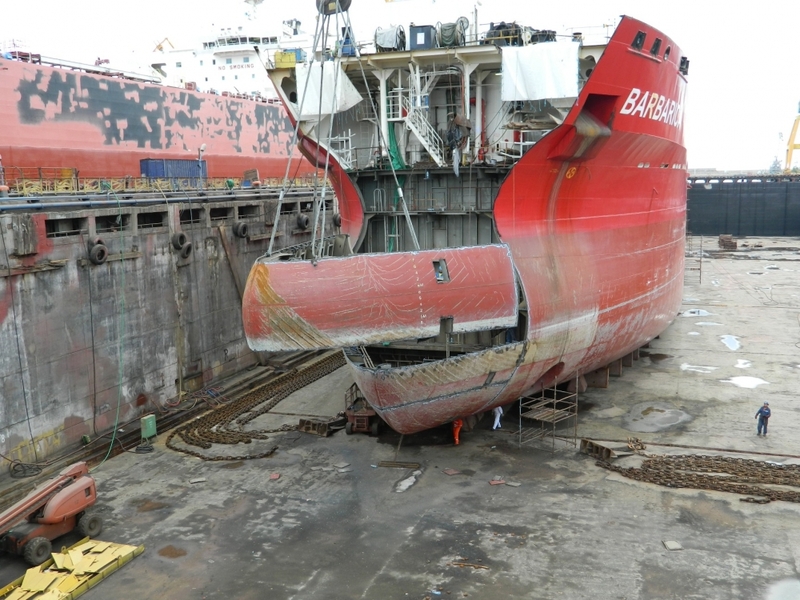 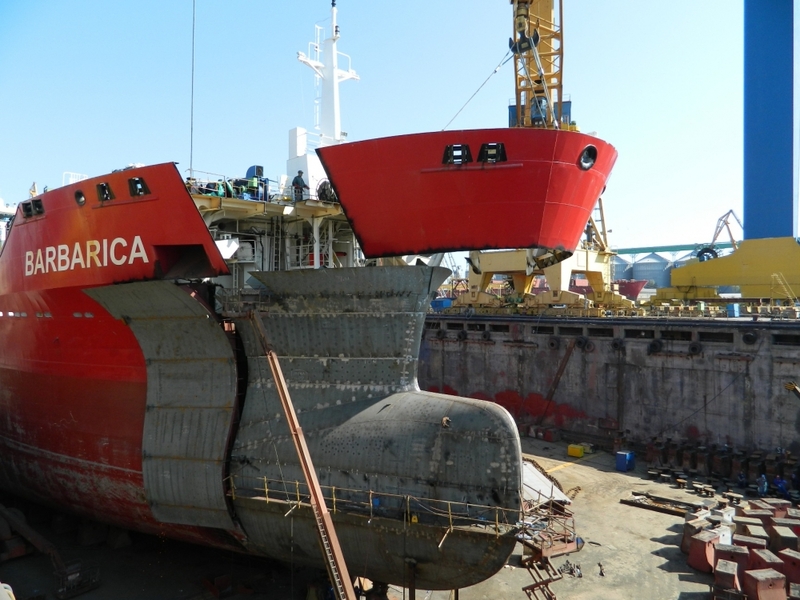 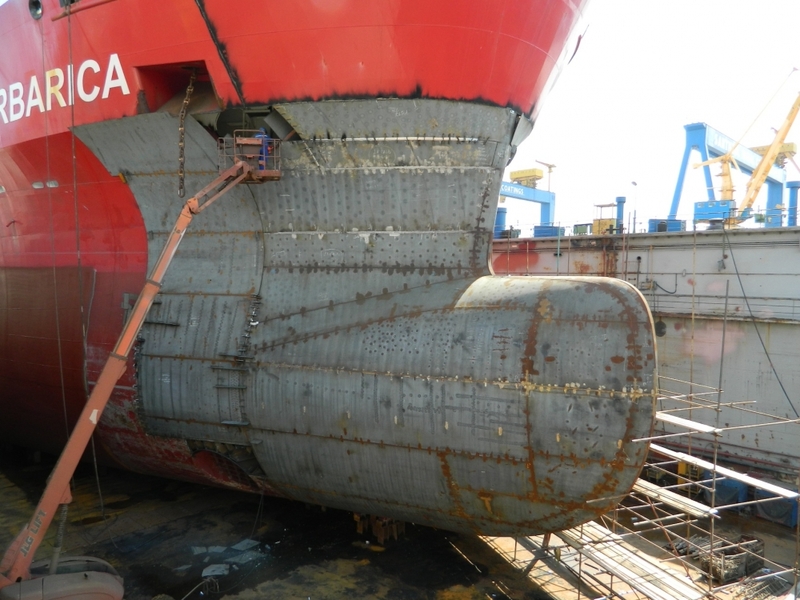 At the Owners' decision (MEDITERRANEA DI NAVIGAZIONE, Italy), the tanker "BARBARICA" underwent an extensive volume of works for increasing the ship's efficiency: renewal of bulbous bow (abt. 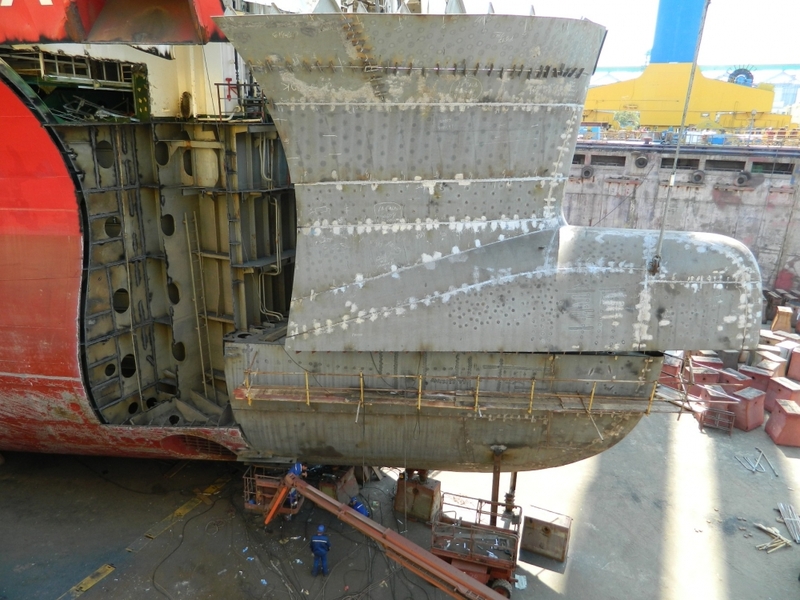 195 tons), modification of aft part (the so called "duck tail" assembly) in order to improve the water flow, installing the rudder bulbs. 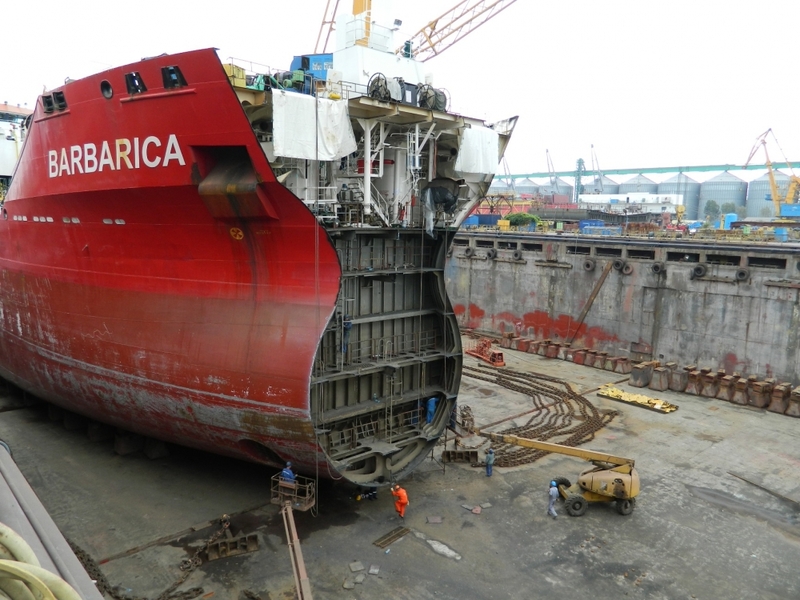 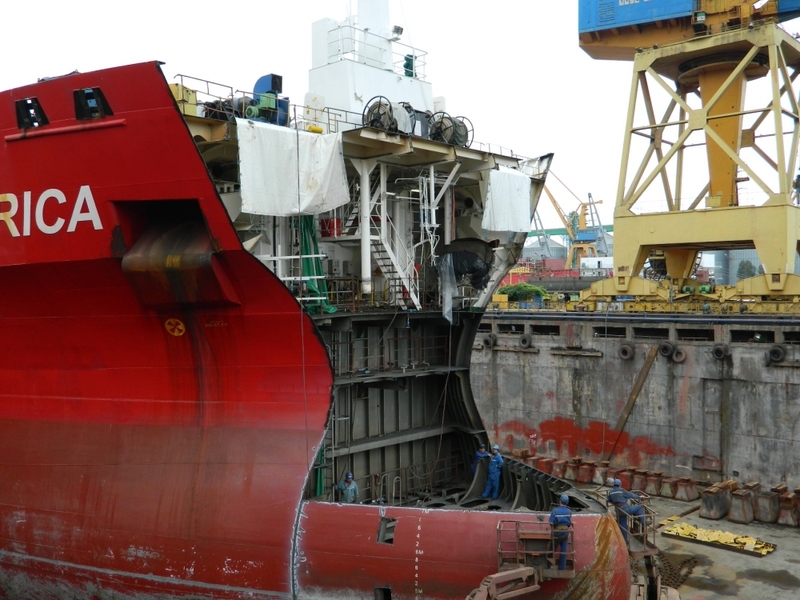 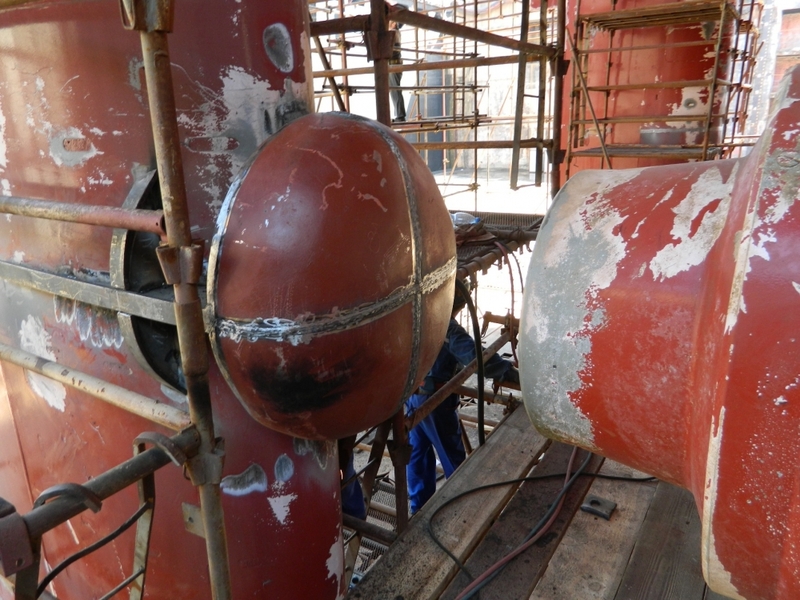 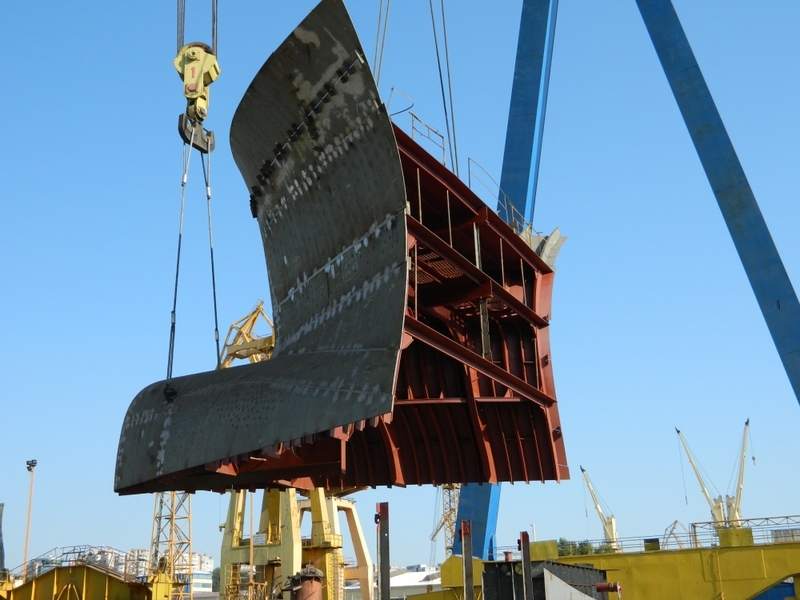 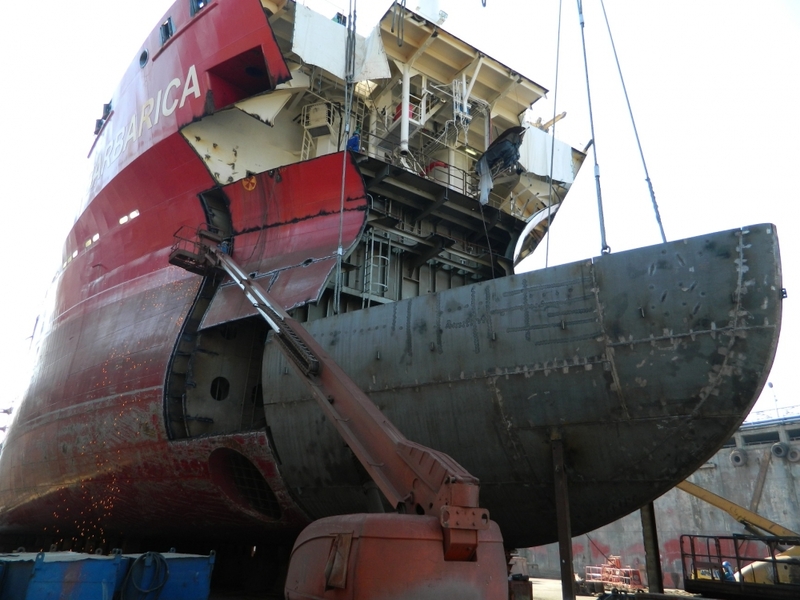 Apart of these atypical jobs, several mechanical works were performed and also the Shipyard's first time application of MARINE LINE in cargo tanks (repairs works).